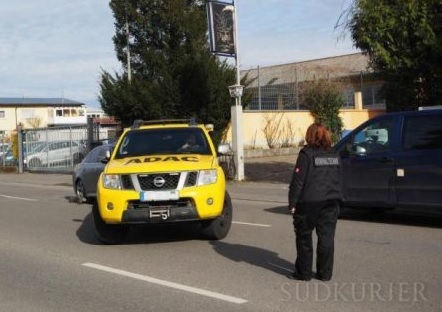 Friday night, in front of a Shisa Bar bar in Constanta city of Germany, bordering Switzerland, was killed with a knife a 19-years-old Albanian of Kosovo origin, from Switzerland, Kosovo media report. The zoung Sony S. (name coded) by Shafhausen of Switzerland along with his girlfriend and other acquaintances, around midnight, outside bar, is involved in an altercation with some people. The motive is unknown, and a cousin of the defunct told the newspaper "Blick" that it is about a hassle end. According to him, the perpetrators were seeking another person. But another friend of the 19-year-old says the conflict was born about a parking space. Police Directorate of Constanta has not expressed regarding motive. What is clear is that Sony S. after being stabbed has tried to escape, even riding his BMW car, but badly wounded then crashed in the bar were hapened the tragic event. His injury was very serious. He died in hospital. Police have so far detained four people in connection with the murder. Among them is the Syrian Omar H., for whom acquaintances of the victim are sure that he is the person who stabbed the Albanian. But police does not affirms nor denies this. A spokesman said a special commission of 50 people are working on the case.